The Republic of Korea is awarding the Korean Ambassador for Peace Medal for veterans of the Korean War (1950-1953). If you served, you may be eligible for the Korean Ambassador Peace Medal. There are several members of our post that are eligible. Now is the time to take action before the end of the award program. For more details, visit the District 6 website. Peppered throughout our history are stories of partisons, local villagers, and others who assisted our soldiers, sailors, marines and airmen. Without them, many more would have died far from home. There is another group of unsung heroes who served alongside our men in combat. Animals. Yes, animals. In fact, one animal served with the Fifth Marines in Korea. She served with distinction and when the Marines went home, she went to Camp Pendleton, California, with them. She was a real war horse, not a fictional war horse. 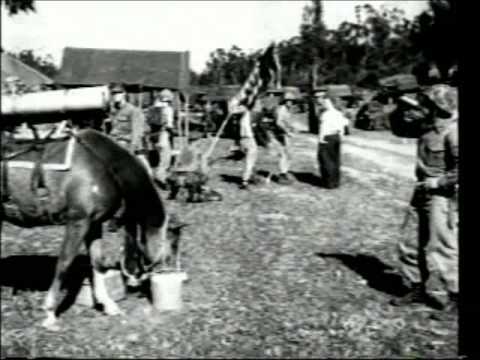 This horse was a Mongolian mare bought from a Korean racetrack and put into service hauling equipment, ammunition and supplies. She even made over 51 trips to the front lines “on her own” and alone as she bravely walked over 35 miles through enemy fire, trip wires, land mines, and exploding bombs. She had a mission and her Marines were waiting for her as she carried ammo out to them on the front lines. She was wounded three times! Life Magazine, in a special 1997 commemorative issue, ranked Reckless as one of 100 all time American Heroes. Reckless was compared with George Washington, Thomas Jefferson, and Abraham Lincoln. The Marines regularly promoted her and the Commandant of the Marine Corps promoted Reckless to Staff Sergeant in the United States Marine Corps. She lived out her retirement years in Camp Lejeune. This is a true story you may have never heard or, if you did, it is long forgotten. It is time to remember, Staff Sergeant Reckless, United States Marine. She is one of many long forgotten true heroes who served bravely and saved so many others.